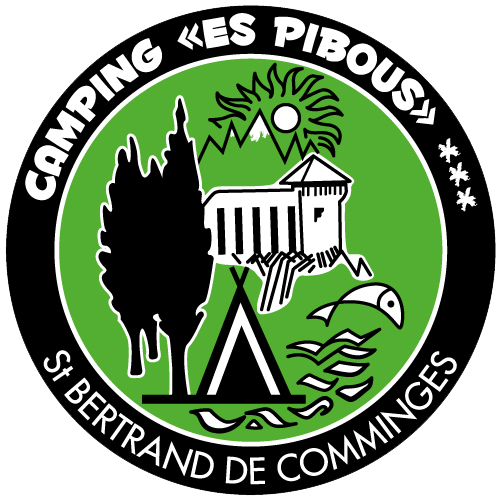 Stay at Camping Es Pibous***, in Saint-Bertrand-de-Comminges for successful holidays in the Pyrenees! Enjoy leisure, cultural and sports activities by staying at our family campsite. Take advantage of the numerous spa resorts in the region to unwind and recover. Culture lovers can attend the famous "Festival du Comminges" or Medieval Festival in the heart of Saint-Bertrand-de-Comminges, not far from Montréjeau, in Haute-Garonne. Don't forget to visit the local markets to discover local products such as the organic apples or famous Barousse cheese of La Ferme Saint Just. Discover the region's cultural heritage and tourist attractions. Thrill seekers will be tempted by rafting, white water swimming and canoeing. This will give you the opportunity to discover areas that are only accessible by waterway! You can also ride your mountain bike on dozens of marked trails around our campsite. Whether on your own or accompanied, enjoy hiking and discover the beauty of the landscapes of our valleys and mountains. Many activities await you, including fishing, downhill and cross-country skiing, sledging, surfing, luge and golf. You will be seduced by the beauty of the landscape. You can rely on us to plan your leisure activities and stay. We will ensure your visit is both enriching and pleasant.